It's always exciting when the new seasons ranges hit the shelves, and this Autumn is no exception. Here we have some bear designs I did for Mamas and Papas to update their bedtime hugs nursery collection, now re-named 'Night Time Hugs'. The range includes the usual bedding bale, and extends to dream pods, wall canvas', curtains and fleece blankets. And new for this season, the range is available in a pink and blue option. 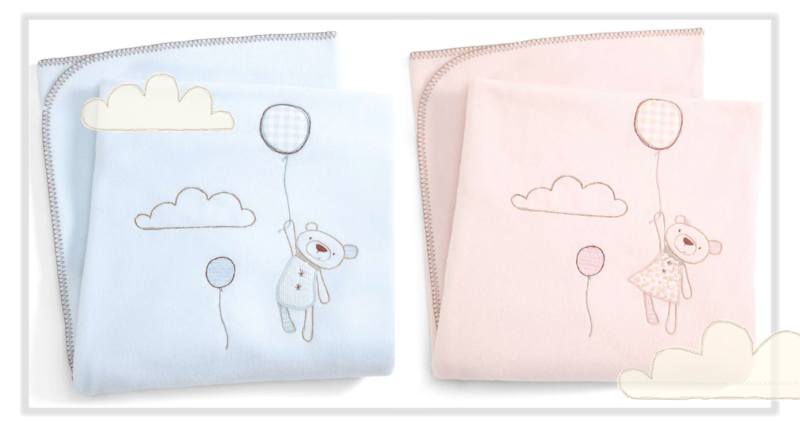 Which see's the girl and boy equivalent of the bears floating away across the bedding range. For more information and imagery please follow the link. All images copyright Mamas & Papas Holdings Ltd 2014.